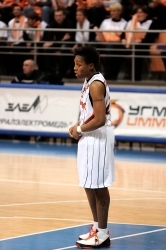 EKATERINBURG, JANUARY 10, 2010: Russian Women's Superleague A basketball game between UMMC, Ekaterinburg and Spartak, Saint Petersburg held on Jan. 10, 2010 in Ekaterinburg, Russia. 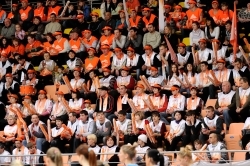 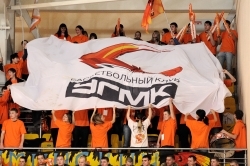 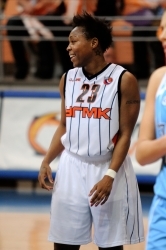 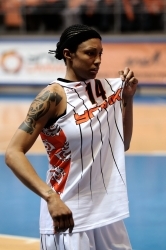 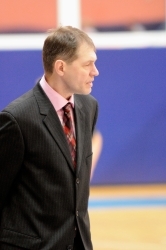 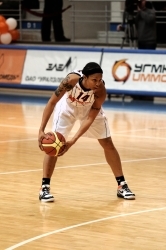 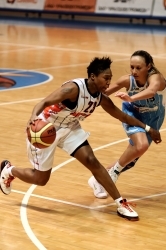 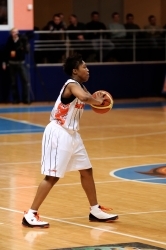 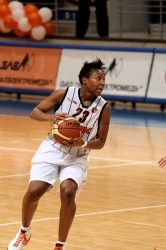 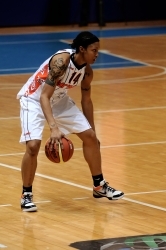 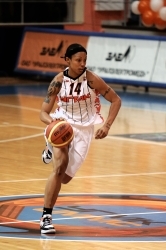 UMMC beat Spartak, 91 to 63. 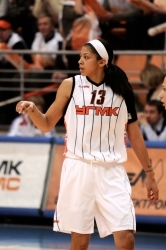 A debut of Candace Parker for UMMC team.